The video, about 30 seconds long, shows and individual lightly hitting another person with a belt. At least one person is heard saying, "Pick my cotton, b ****." As the group laughs, the phrase is repeated several times. A male voice is heard saying, "You are not using the right words," and then someone uses the n-word. 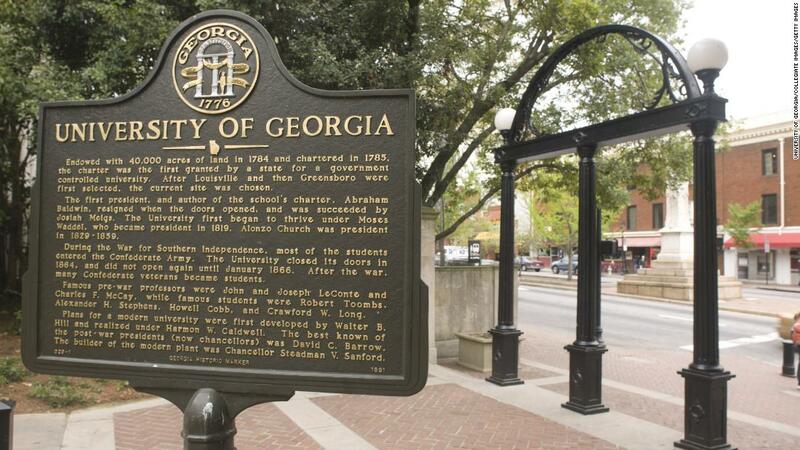 The Xi-Lambda chapter of the Tau Kappa Epsilon fraternity at UGA is currently suspended and "there is An investigation underway regarding the students involved in the video, "UGA's Student Government Association said in a statement . the video, "according to a release.
" TKE will not tolerate any actions such as these that would be defined as racist, discriminatory and / or offensive. " In a reply to the Student Government Association, it said condemned racism "in the strongest terms. " " Racism has no place on our campus. We will continue our efforts to promote a welcoming and supportive learning environment for our students, faculty and staff, "the university said . 5 students who participated in videos that the school's chancellor called "extremely racist" and "offensive." In 2015, the University of Oklahoma shut down the Sigma Alpha Epsilon fraternity after video showed members clapping and cheering as they recited a racist chant.